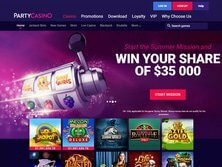 PartyCasino offers a special bonus for new players at their casino, but it can be hard to understand the exact criteria that need to be met in order to be eligible to cash the bonus. At Casino Bonus King we dig deeper into the rules and explain it to you in easy to understand language, so that you know what you are getting. 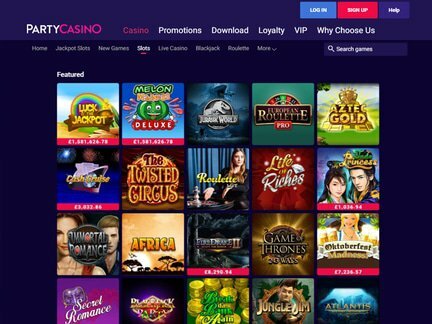 If you are a new player at PartyCasino and you make your first deposit with bonus code BONUSKING, you will get an instant 100% matchup bonus. So, if you deposit $100 (or €100 or £100) you will get another $100 (or €100 or £100) added to your account. The maximum matchup bonus is $/€/£200, so if you deposit more than that, you will still only get $/€/£200 extra. Although the PartyCasino bonus gets added to your account to play with immediately, you will not be able to cash it out just yet. Obviously, this rule has been put in place to avoid people from making a deposit, claim their bonus, and then cash out without ever playing at the casino. After you made your first deposit, the bonus offerings do not stop! Up to three subsequent deposits will get you another bonus. For your second, third, and fourth deposit, you can claim another 100% cash bonus. For each of these deposits you will need to input the bonus code MATCH100, and you will get up to $/€/£100 extra cash into your account. The same rules as the first deposit bonus apply to these subsequent deposit bonus offers.